Tennessee has scheduled three executions this year, after nearly a decade without them, according to USA Today. Dozens of Death Row prisoners lost challenges to the use of the death penalty and lethal injection. The Tennessee Supreme Court has consistently ruled in favor of the process. “The intended result of an execution is to render the inmate dead,” wrote Chief Justice Jeffrey Bivins in his official opinion, upholding the state’s practice of executing the condemned by lethal injection. The execution dates of James Hawkins, Billy Ray Irick and Sedrick Clayton have been confirmed by the Tennessee Department of Correction, according to the article. They will be executed on May 9, Aug. 9 and Nov. 28, respectively. The last execution was in 2009. Irick could be the first execution, scheduled for Aug. 9. His attorneys asked the Supreme Court not to set a new execution date, the article stated. Hawkins is scheduled for May 9 but has the one-year option to appeal. Irick, who has exhausted all his state and federal appeals, was set to die in 2014. He has been on death row since 1986 at the Riverbend Maximum Security Institution in Nashville. Today, there are 60 inmates on Tennessee’s death row waiting to be executed. 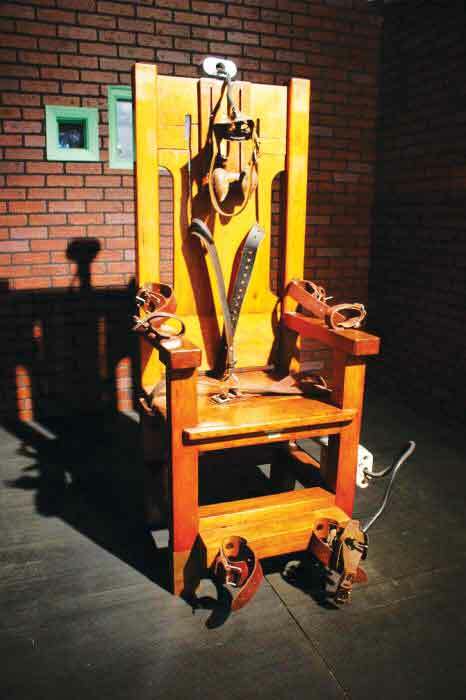 The electric chair is still legal in Tennessee. It was last used in 2007 but could resume in 2018, according to the article.